5.5.0 Online Update Complete – Checkbox Survey Inc. The 5.5.0 update for all Checkbox Online users is now complete. Server customers should be able to access the update from the Products area of our customer support site on 6/26/2012. After your account has been upgraded, please have a System Administrator/Survey Editor clear your browser cache. 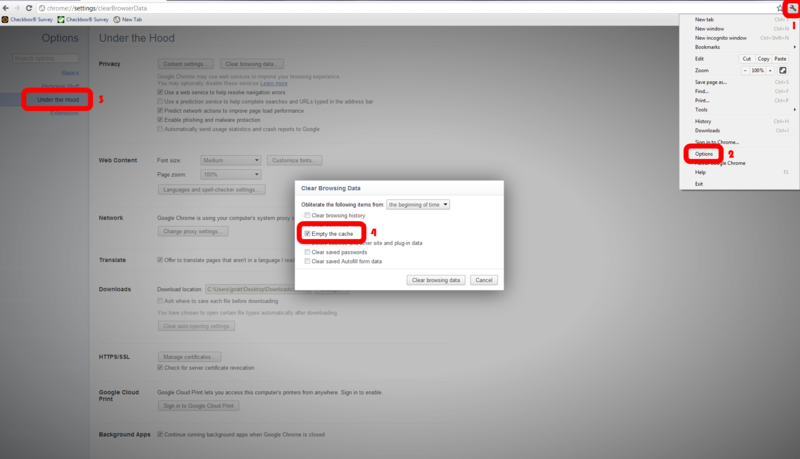 This will ensure that you load the most recent version of Checkbox to your browser. If you have an issues patching your account to version 5.5.0, please open a support ticket.